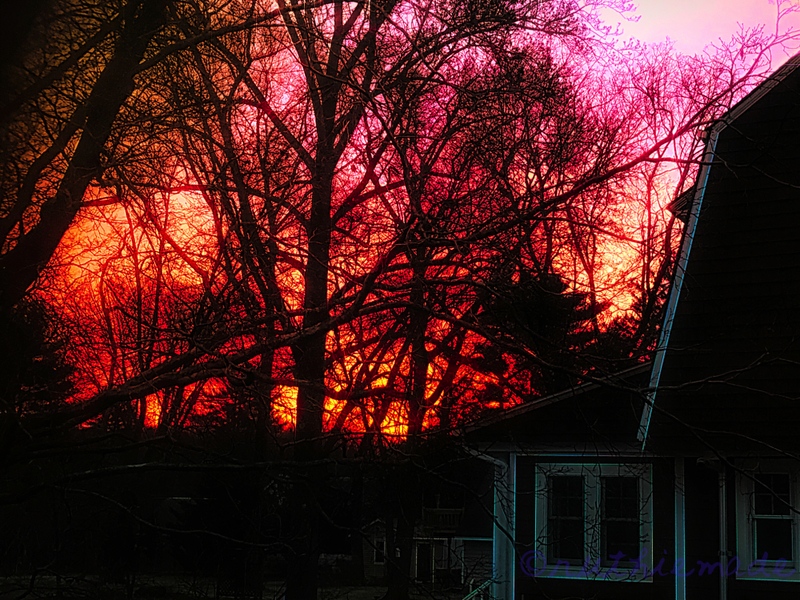 Ruthiebear (Titusville, NJ, United States) on 9 March 2019 in Landscape & Rural. Cela flamboie chez toi ce matin ! A great burst of color from the morning sun. Le ciel est en feu et c'est de toute beauté. That should heat things up! Lovely image. Have a good day and week-end. A beautiful winter sunrise and photo. Fantastic colors to celebrate the rising sun ! I thought at first that it was a fire. Nice colors. I always that winter sunrises and sunsets are gorgeous. The color here is incredible. A wonderful way to start off the day. Beautiful this sunset, we would think a fire ! Un ciel de feu ! Superbe ! Moi aussi j'ai tendance à crier : " Au feu... les pompiers !" en découvrant cette image.